The national parks of India have played a crucial role in conserving the dwindling species of a wide variety of flora and fauna. One of the oldest among them is Corbett National Park located in the Nainital district of Uttarakhand state. Visitors to this wildlife sanctuary can have the pleasure of watching endangered Bengal tigers in action during their wildlife tours. In recent times, this region has also became one of the major destinations for eco-tourism and is characterized by a sub-Himalayan geography and ecology. Only select areas of this national park are used for tourism-related activities; in order to provide ample opportunities for tourists to explore its beautiful natural surroundings and wildlife, without disturbing its ecological harmony. A Jeep Safari is the most convenient way to explore the wild animals, birds, plants and trees within this wildlife reserve. There are some truly interesting Corbett attractions that visitors can explore while touring the national park. One of them is Dhikuli, a well-known area in Corbett that provides spectacular views of Patli Dun valley. 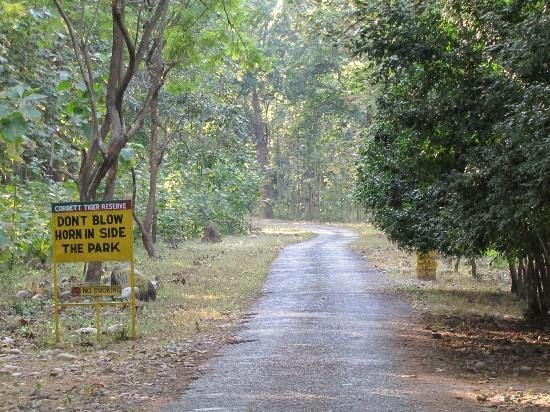 Tourists of this wildlife sanctuary can go trekking around the park, as they are not allowed to walk inside it. Bird-watchers can have an exciting time at the Kalagarh Dam, located to the south-west of Corbett. Another great place to be is Corbett Falls, which is surrounded by a pleasing serenity and dense forests. For providing comfortable stays for tourists during their vacation in Corbett, there are some excellent resorts around the wildlife reserve. Most of them offer tastefully designed rooms or cottages, that have all the latest facilities like an LCD television with satellite connection, tea-coffee maker, and in-house laundry services. Some of the resorts in Corbett also have additional amenities like ample parking space for cars and buses, luggage room, tours to the nearby attractions on demand, and a multi-cuisine restaurant. Visits to wildlife reserves are always enjoyed by wildlife enthusiasts, bird-watchers, and nature lovers. One of these wildlife sanctuaries is Jim Corbett National Park in the Nainital District of the Indian state, Uttarakhand. It was the first national park to come under Project Tiger, an initiative by the Indian Government to protect dwindling species of the Bengal Tiger. There are diverse varieties of flora and fauna in this wildlife reserve and tourism-related activities permitted only in selected areas. Plenty of tourists from different parts of the world visit this national park to enjoy its diverse offerings. This wildlife sanctuary is abundant with different species of plants and trees with a higher density of Sal forests in certain areas. Bengal Tigers, Leopards, Himalayan Black Bears, Sloths and Barking Deer are some of the wild animals found in this region. There are over 586 species of migratory as well as resident birds in the wildlife reserve. 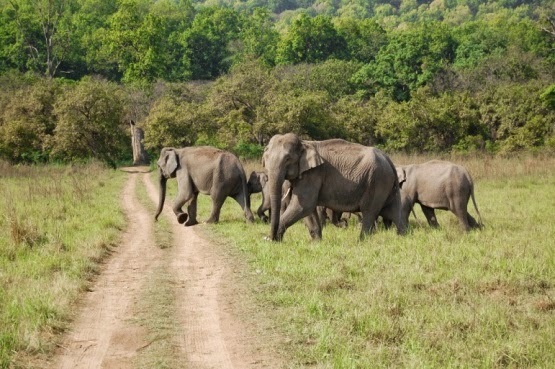 There are several other attractions in Corbett that can be explored while touring the national park. 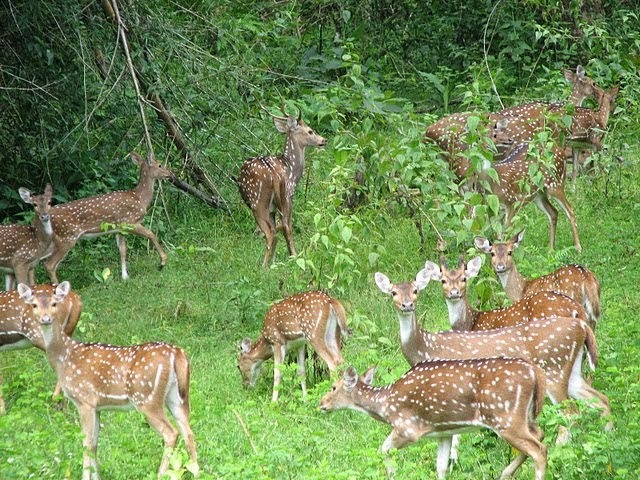 One of them is an area in this wildlife reserve called Dhikuli, which is located near Patli Dun valley. Tourists would be delighted to visit Corbett Falls and Kalagarh Dam, as they are surrounded by lush greenery and amazing serenity. Being close to this national park is made possible by the presence of some excellent hotels and resorts in the surrounding areas. The hotels and resorts in Corbett offer a beautiful view from its rooms guests can enjoy all the modern facilities provided inside. Accommodation in some of the resorts is (accommodation is singular so uses is and not are. These are basics of English) arranged in village-style mud huts that look simple from the outside, but have elegant furnishings inside. During their stay in such resorts, tourists can also enjoy traditional Kumauni folk dance performances and excursions to all the exciting places nearby.